Many people are trying to live a more “minimalist” lifestyle, and that includes departing from some of those necessities at home. But, downsizing doesn’t necessarily mean you have to get rid of everything! If your house has begun to feel cluttered, you may be considering downsizing. Many people are trying to live a more “minimalist” lifestyle, and that includes departing from some of those necessities at home. But, downsizing doesn’t necessarily mean you have to get rid of everything! 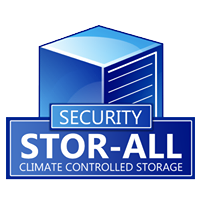 If it’s time for a cleanout, but there are things you want in the future, Beltline and Security Storalls has you covered. 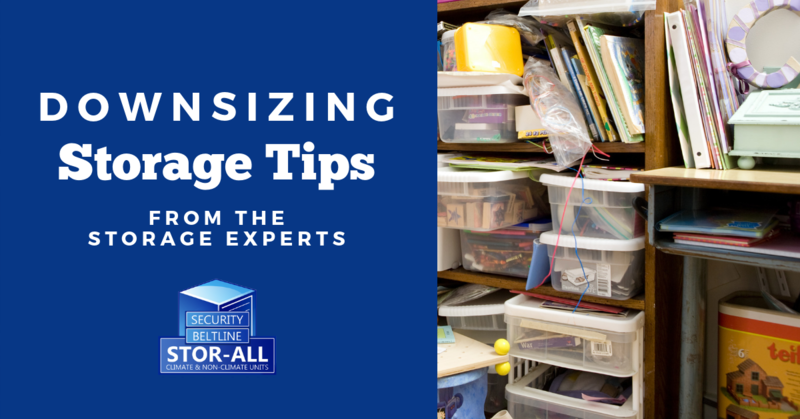 Keep reading as we go over a few tips for storage when downsizing your home’s belongings. Rome wasn’t built in a day. So, your downsizing masterpiece should be given adequate time and thoughtful planning. Rather than trying to tackle it all at once, go ahead and start organizing items little by little. This will help prevent the hassle, headache and overwhelming sensation that doing everything in one day will bring. Plus, it gives you time to truly think about what to put in storage and what to keep. After you have carefully planned and thought through what to keep and what to pack, it’s time to get started! Keep in mind to take it one room at a time. Sort through your belongings in order to decide what you need or want to keep, and pack away what will go to storage. Sticking with one room a day will help to make the process smooth and easy because it allows you to focus on one project, as opposed to three rooms at once. Create a list of all of the things you absolutely must-have. This list will include the things you cannot live without and the essentials that you use on a day-to-day basis. As for the things you want to keep, but don’t necessarily need every day, pack them away for storage! Designate three bins when going through your belongings: a “sell” bin, donate bin and a trash bin. Put your gently used belongings in the donate bin, and trash the belongings that have accrued wear and tear. If you have newer items that you no longer need, place them in the “sell” bin. If you are not 100% positive on an item, ask your spouse or family for their opinion. Using the above tips when downsizing should help make the process a bit easier. There will be a lot of belongings that you won’t want to part ways with, but just keep in mind putting them in storage does not mean you will never see them again. At Beltline Security and Storalls, we have a wide variety of sizing options that will allow you the ability to choose the unit perfect for your belongings. Contact our team today for more information!